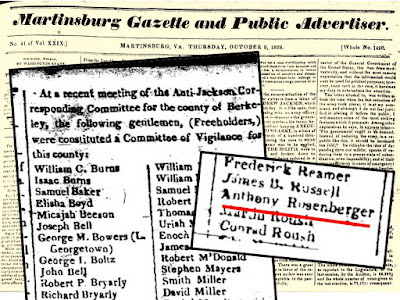 Born in December 1771 in Pennsylvania to German parents, my sixth great-grandfather Anthony Rosenberger was a prosperous Virginia farmer and miller. 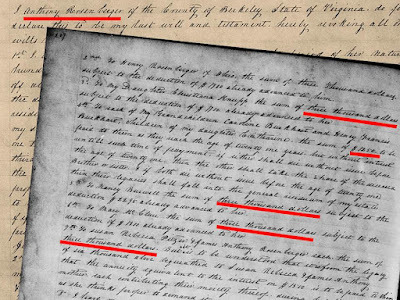 Land records and his last will and testament illustrate his vast land holdings and their value. He left his children substantial sums of money (nearly $30,000) following his death in 1853.
of dollars he left to his children. Perhaps because of his land-owning wealth, Anthony appears to have been politically engaged. 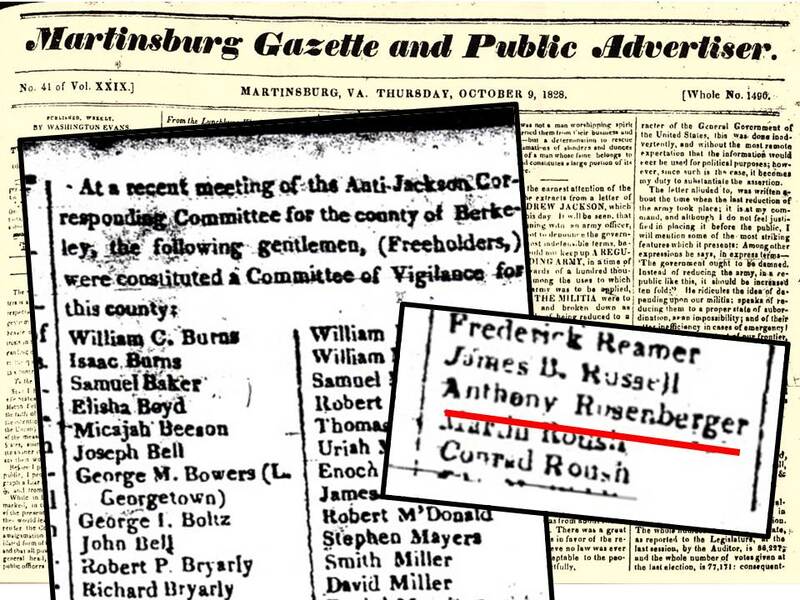 In October 1828, his name was published in the local Berkeley County, Virginia newspaper among a list of men who attended an anti-Jackson committee, and established a committee of vigilance. Clearly, Anthony was opposed to the presidential candidacy of Andrew Jackson. But why? What would drive him to join a public committee of opposition? The presidential campaign of 1828 pitted arch rivals John Quincy Adams, the incumbent, against populist candidate Andrew Jackson. There was considerable bad blood between the two candidates. Jackson had won the plurality of Electoral College votes in the 1824 campaign, but not the required majority. The Constitution's Twelfth Amendment mandated that the election be decided by the U.S. House of Representatives (anyone seen the current season of House of Cards? That really happened!). Adams won that vote, but Jackson's supporters hammered away at the fledgling administration and fostered a fraught political climate for the next four years. There were no holds barred in the 1828 campaign. 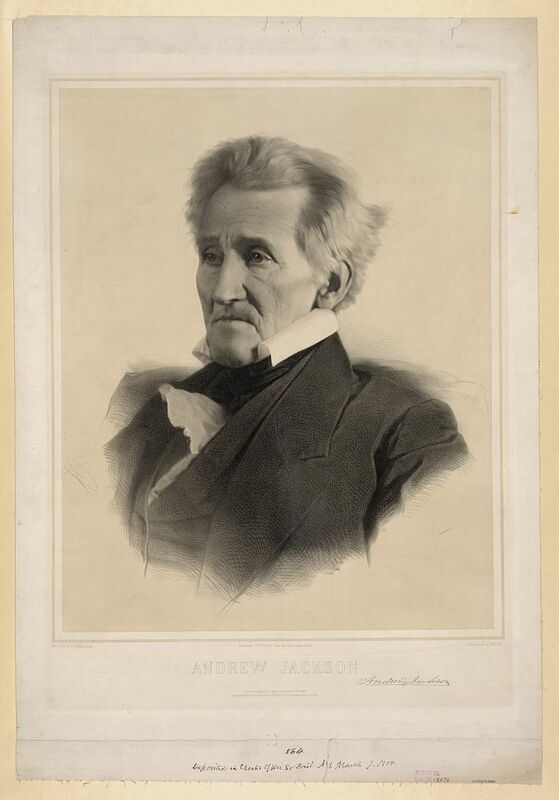 Jackson's moral fitness for the White House was questioned because he had unwittingly married his wife Rachel before her divorce from her first husband had been finalized. Adams, in turn, was accused of being an elitist spendthrift who used taxpayer funds to buy "gambling devices" for the White House - a chess set and a pool table. "...Jackson had scanty qualifications as a statesman, with only brief and undistinguished service in Congress and as a territorial governor. Where all Presidents since Washington had served extensive administrative and diplomatic apprenticeships, Jackson had never held a Cabinet post or even been abroad. He spoke no foreign languages and even wrote English roughly. On the other hand, his heroics as a general had a far greater hold on the public imagination than the governmental experience of his competitors." Perhaps Anthony, as a landowning white male with considerable wealth for the era, was opposed to a politician who was brought to power by the common man and the uncertainty that that might create for his socioeconomic stability. Whatever the reason for his opposition, it appears that four years of Jackson as President did not change Anthony's mind. In the campaign of 1832, Anthony is believed to have supported the candidacy of Henry Clay. 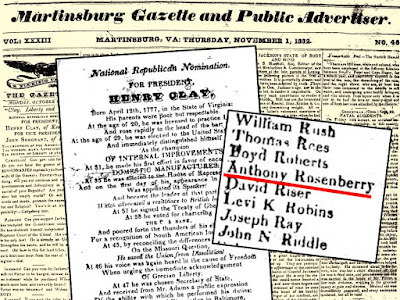 A November 1, 1832 edition of the Martinsburg Gazette featured a promotional entry supporting the nomination of Henry Clay for President. A list of Berkeley County, Virginia men subscribed their names in support. 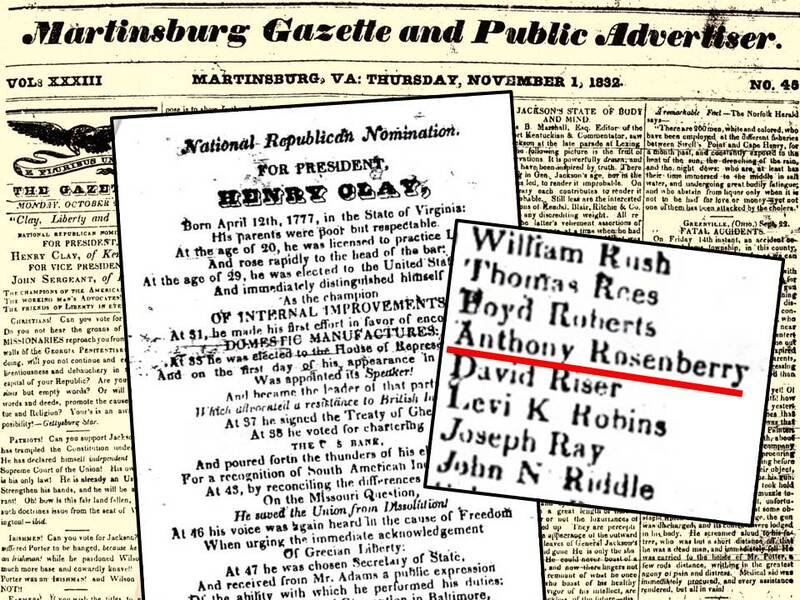 Among those names was an Anthony Rosenberry. No man by this name was found in the area in the preceding 1830 census or afterwards in 1840. It's believed that this was a mistake and was in fact Anthony Rosenberger. Jackson won the election of 1832 in a landslide. Anthony's preferred candidate suffered defeat once again. How did Anthony cope with the defeat? I couldn't help wondering if he would have agreed with a line that Andrew Jackson purportedly once quipped, "I try to live my life as if death might come for me at any moment." 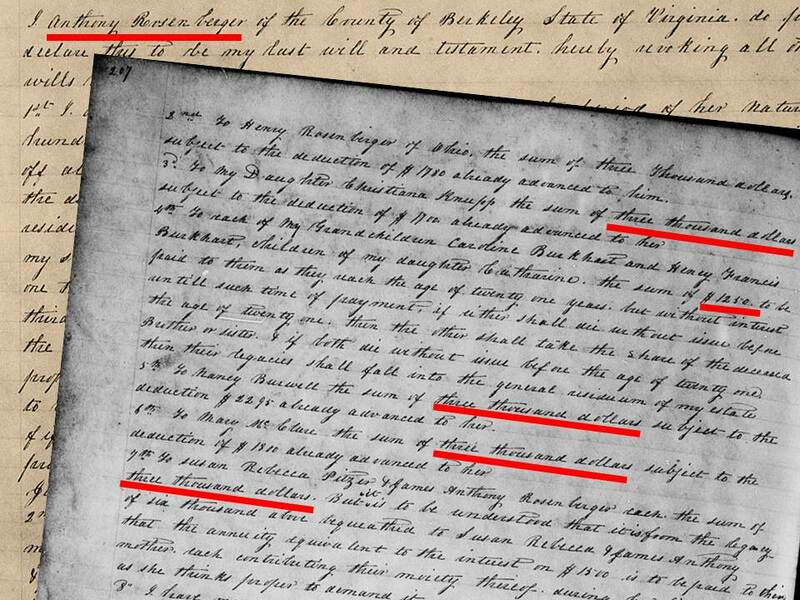 Anthony willingly published his political beliefs in black and white, documenting his opposition to President Jackson for posterity (and his sixth great-grandson). Perhaps there is a victory in taking a public stand for what you believe in regardless of whether you win or lose. Although I probably learned all about this back in the day, reading it now through 2017 eyes was eye-opening. History surely does repeat itself, doesn't it? Great post! 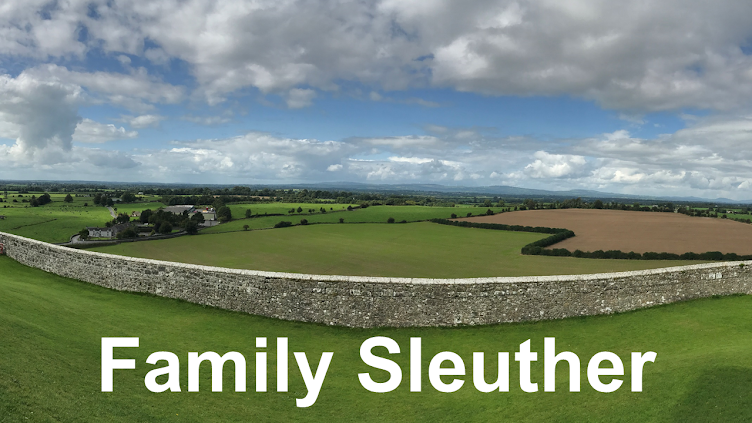 As family historians we're in the unique position to see where our ancestors faced similar challenges.